Every family has their traditions when it comes to holidays. A couple of our Thanksgiving traditions involve eating at my grandmother’s house and enjoying her wonderfully perfect cornbread dressing. Nanny’s cornbread dressing is something she only makes once a year and she always makes two pans so we can have plenty of leftovers. Sadly, since we live several states away, it has been a few years since we have been able to go home for Thanksgiving. Another staple at our Thanksgiving dinners has always been cranberry sauce--the canned kind :). Last year my parents flew out to Kansas to spend Thanksgiving with us. I knew I wanted to make some fresh cranberry sauce (for the first time) but was worried about how it would turn out so I also bought a can “just in case"--which we ended up not needing at all! It was not only my first time making cranberry sauce, but also using fresh cranberries and I was hooked. Most recipes involving cranberries (other than fresh cranberry sauce) call for the dried variety, but I wanted a recipe that used fresh cranberries. 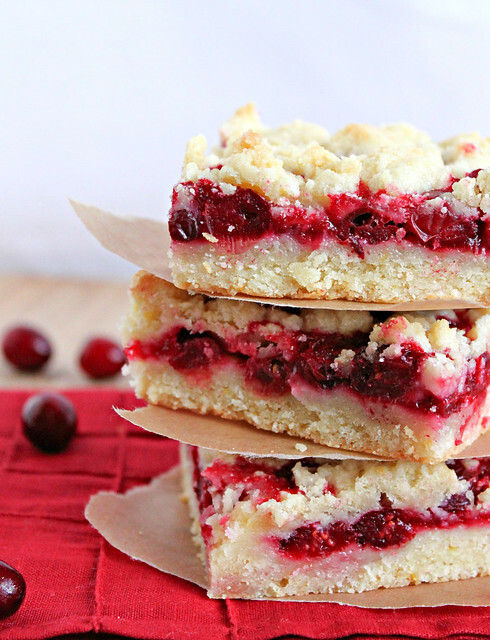 These cranberry-lemon squares were just what I had in mind! 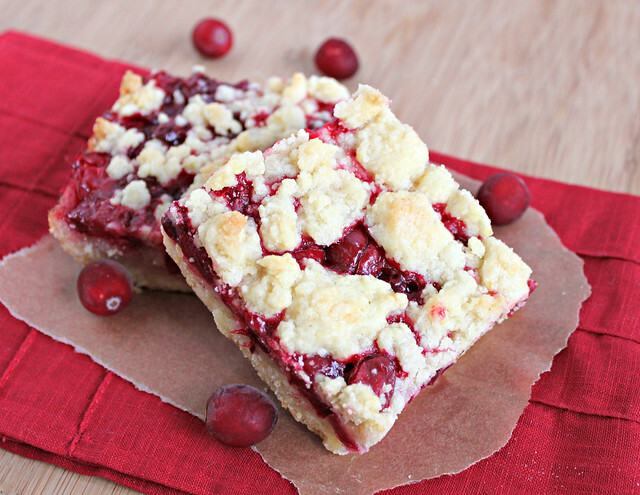 The lemon flavor paired with the cranberries makes these treats delightful. If you are looking for an alternative to pie for Thanksgiving dessert these are a great choice! Preheat oven to 375 degrees F. Line a 9x13 baking dish with parchment paper. In the bowl of a food processor, add flour, baking powder, sugar, salt, and lemon zest. Pulse to combine. Add the butter and pulse until dough is crumbled into small pieces. Move the crumbles to the bowl of a stand mixer. Mix in the egg and vanilla extract. Add water 1 tablespoon at a time until dough comes together (I only needed 2 tablespoons). Press half of the dough in the bottom of the prepared baking dish. Set the remaining dough aside for the topping. In a medium bowl, combine the sugar and cornstarch. Add cranberries and lemon juice. Stir to coat cranberries. Pour filling ingredients over the dough in the baking dish. Spread cranberries so that they are in a single layer. 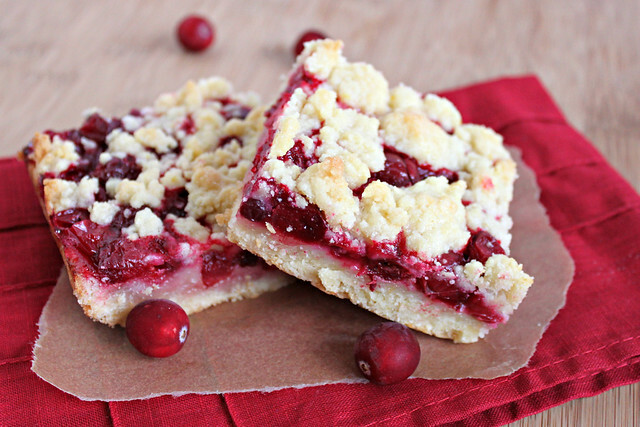 Crumble the remaining dough over the top of the cranberries. Bake for 30-35 minutes or until the top and the sides are golden brown. Remove from the oven and allow to cool completely. Once cooled, lift squares out of the baking dish using the parchment paper. Cut into squares.